Evolution 15 - Multiplayer VS mode! 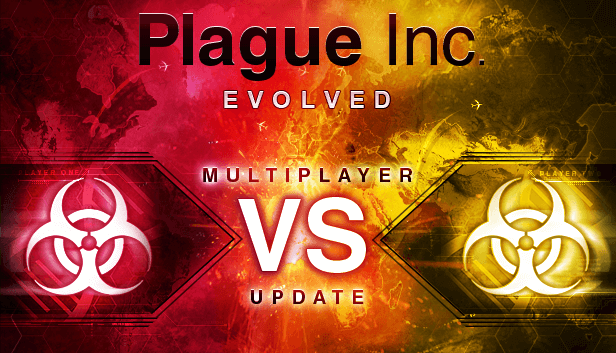 We are really excited to announce that Competitive Multiplayer is now live in Plague Inc: Evolved! It is time to take your genetic strategy to a whole new level. In VS. mode the world is unlucky enough to be infected by two deadly plagues that are battling for control of the world. Whoever infects the world first wins but you must also avoid being cured by humanity or prematurely eradicated by the other player! There are many ways to become the ultimate plague. Will you spread slowly, stay under the radar and let humanity and your enemy battle it out, or be aggressive, fight the cure and use total organ failure to gather huge amounts of DNA? Or maybe you should focus all your efforts hunting down the other plague in order to wipe it out before it can spread at all. The genetic strategies are vast! Genetic Exposure lets you help humans develop a cure against your opponent. Added custom error message for UGC when Steam servers are not running. Text strings seem to be missing in enum expressions - fixed. 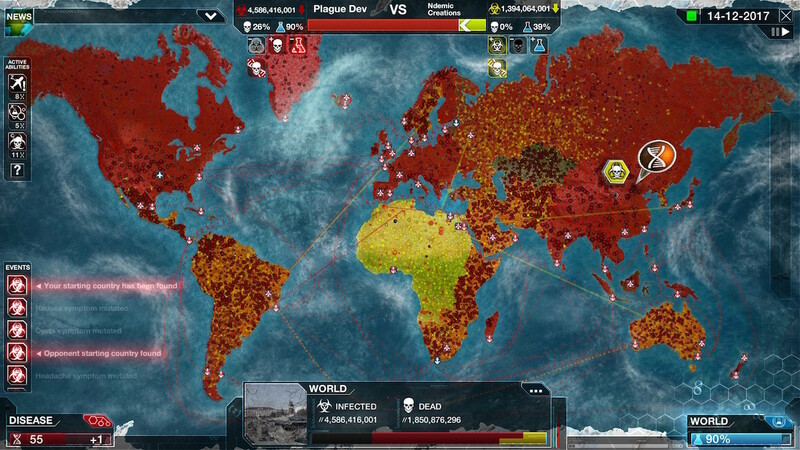 Locking a disease type doesn't work - fixed. Event lab - conditioning on populations doesn't seem to work - fixed. Event lab - conditioning on enums doesn't work - fixed. Country names show identifier in main event lab view - fixed. Translations for custom scenarios don't work for standard events - fixed. Lock Difficulty bug - fixed. Default language always English - fixed. RE: Evolution 15 - Multiplayer VS mode! Already got 3/5 new achievments! What's the 5th new one? (01-12-2015 08:57 PM)kon Wrote: Awesome! What about more plague types for multiplayer? Especially a Necroa Virus. Two zombie armies destroys humanity in the same time... it may be AWESOME! Current time: 21-04-2019, 05:42 PM Powered By MyBB, © 2002-2019 MyBB Group. Theme created by Justin S.